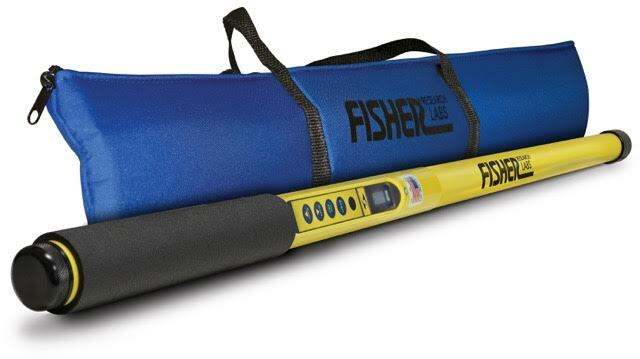 The Fisher FML-3 Magnetic Locator is robust and waterproof — designed for the field. This simple-to-operate, adjustable sensitivity, ferrous metal locator will assist your search for valve boxes, manhole covers, survey markers, PK nails and more buried under the ground or underwater! 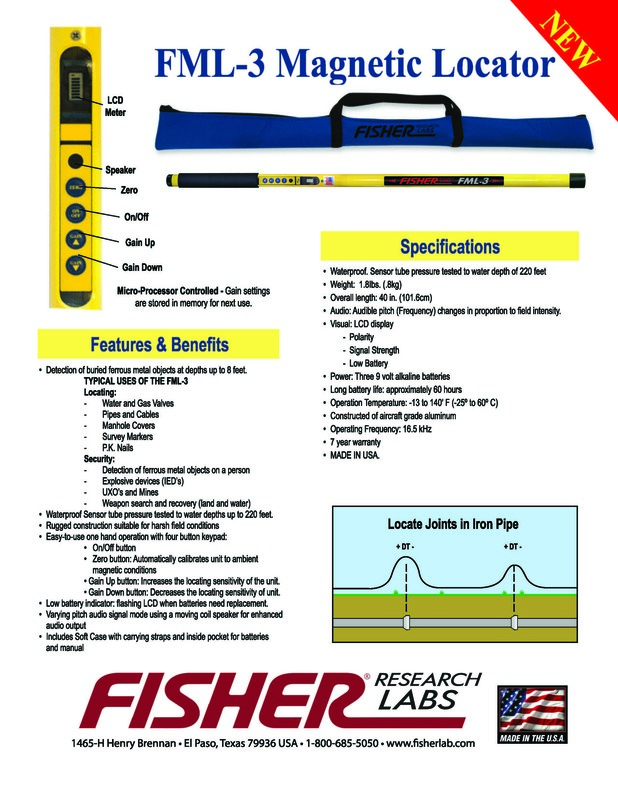 Polarity indication assists in finding joints in cast iron pipes! Please see specification sheet for more information.